(Excerpt from Goodreads) 16-year-old Aurora Darlington is an orphan. Mistreated by her adopted family and bullied at school, she dreams of running away and being free. But when she is kidnapped and dragged through a portal into a magical world, suddenly her old life doesn’t seem so bad. Aurora recently lost her parents in a car accident and is sent to live with her uncle, but the family treats her badly. If that wasn’t enough she is bullied at school and finds herself alone. But then on a family vacation to Redstone Manor, she learns that she has been sold to Lord Oblek. She gets dragged through a tapestry into a whole new life. Aurora is actually the Heir of Illiador and she has great powers, if she can unlock them. She is sent to Evolon, a school for mages, where she will find enemies, friends, and the ability to use her powers. This is a great adventure story. I felt for Aurora in the beginning with everything she went through but I loved how she used this to make her a stronger person. But the part I liked the most was she is the typical teenager. She doesn’t always do what she is told and makes her mistakes but she learns from them. I was captivated from the first page I read and I felt right there with Aurora. The imagery was wonderful and I have to say that I loved Snow and Rafe. This is a great young adult, fantasy story that will appeal to any age. I can’t wait to see what happened next in this series. 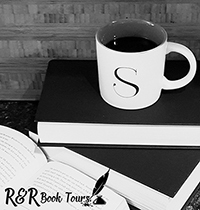 To purchase The Last of the Firedrakes make sure to visit Amazon, Barnes and Noble, Goodreads, and Farah Oomerbhoy’s website. 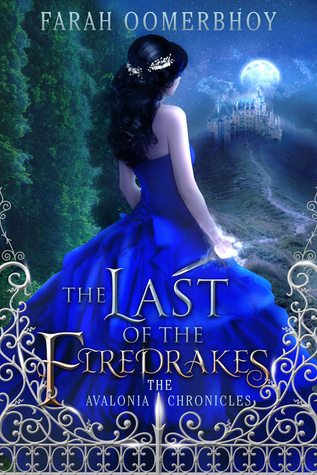 I received The Last of the Firedrakes for free from eBooks for Review in exchange for an honest review.